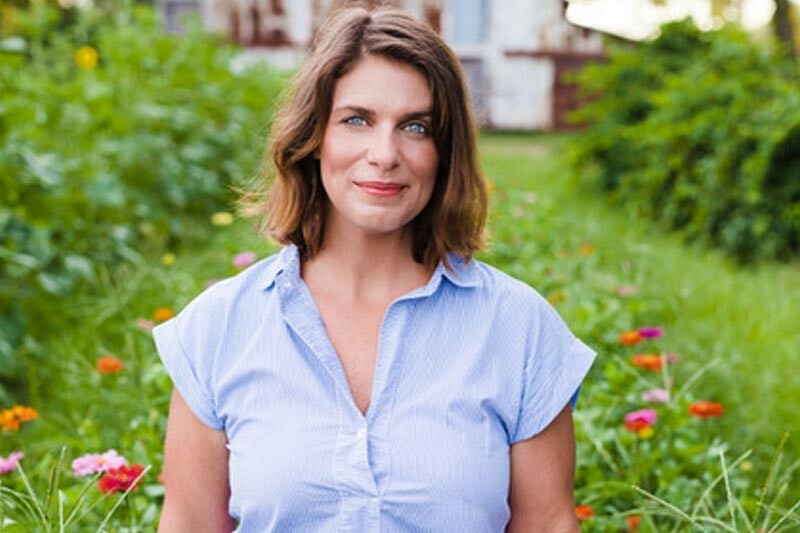 Chef, restaurateur, and television host Vivian Howard will receive Meredith College’s 2019 Woman of Achievement Award. In celebration of this award, Howard will be interviewed by Meredith President Jo Allen on Tuesday, February 19, 2019, at 7 p.m. in Jones Auditorium. Howard and Allen share eastern North Carolina roots and promise an evening of wit and wisdom. There is limited seating in the auditorium for this event. Overflow viewing will be available in Jones Chapel. House doors open for Meredith students at 6 p.m. and to the general public at 6:30 p.m.
A North Carolina native, Vivian Howard moved to New York after college to work in advertising, but soon transitioned to the city’s food and restaurant scene, where she honed her culinary skills and love of food working in the kitchens of some of New York’s most esteemed restaurants. In 2005, Howard returned to Kinston, N.C., to open her first award-winning restaurant, Chef & the Farmer, followed by three other successful restaurants in eastern North Carolina. She and her restaurants have won numerous accolades, including her selection as a five-time James Beard Foundation Award semifinalist for Best Chef: Southeast. In 2012, Howard and director Cynthia Hill premiered A Chef’s Life, the award-winning documentary television series celebrating eastern North Carolina food traditions. After five seasons, earning a Daytime Emmy, Peabody award, and James Beard award for Outstanding Personality/Host, the series has segued into a new series that will premiere this year. The new hour-long, primetime show will tell food stories of the American South in the context of global food traditions. Howard’s first cookbook, Deep Run Roots: Stories and Recipes from My Corner of the South, reached the top of the New York Times Best Sellers List for Advice, How to & Miscellaneous books. The cookbook was nominated for a James Beard award for the American Cooking category, was named Cookbook of the Year by the International Association of Culinary Professionals, and was selected as the winner of the 2017 Southern Book Prize for the Nonfiction – Cooking category. Howard is working on her second book. Meredith College’s Woman of Achievement Award recognizes women who are inspirational role models. Previous recipients include former N.C. Supreme Court Chief Justice Sarah Parker, N.C. Secretary of State Elaine Marshall, journalist Judy Woodruff, Tony Award-winning choreographer Twyla Tharp, and environmentalist Celine Cousteau. For Meredith students, this event qualifies as an academic/cultural event in General Education.